With rich 24k yellow gold barrel and blue onyx beads, this necklace is a real conversation starter! 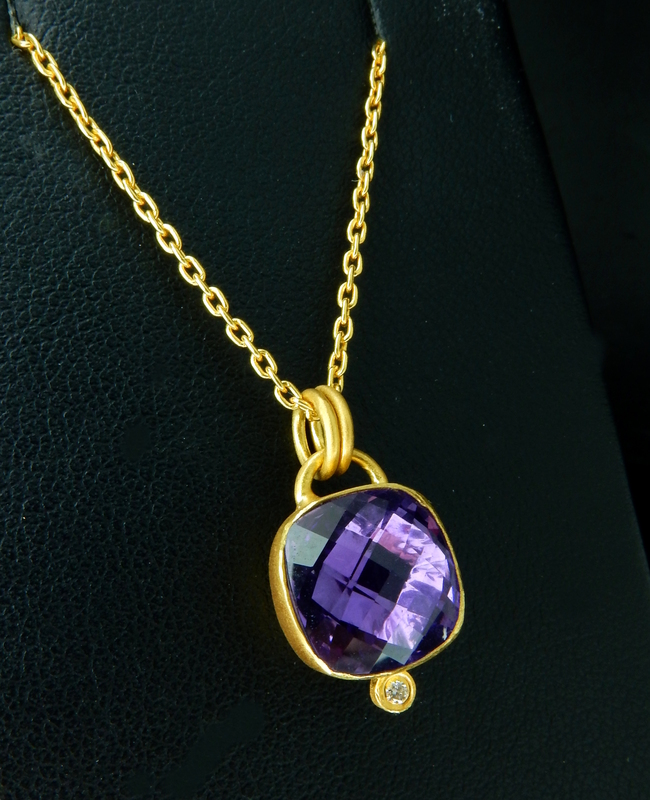 Set in high 24 karat gold, this checkerboard amethyst is adorned with a small diamond and hangs on a solid 24k yellow gold chain. Handmade Topaz and Diamond Earrings! 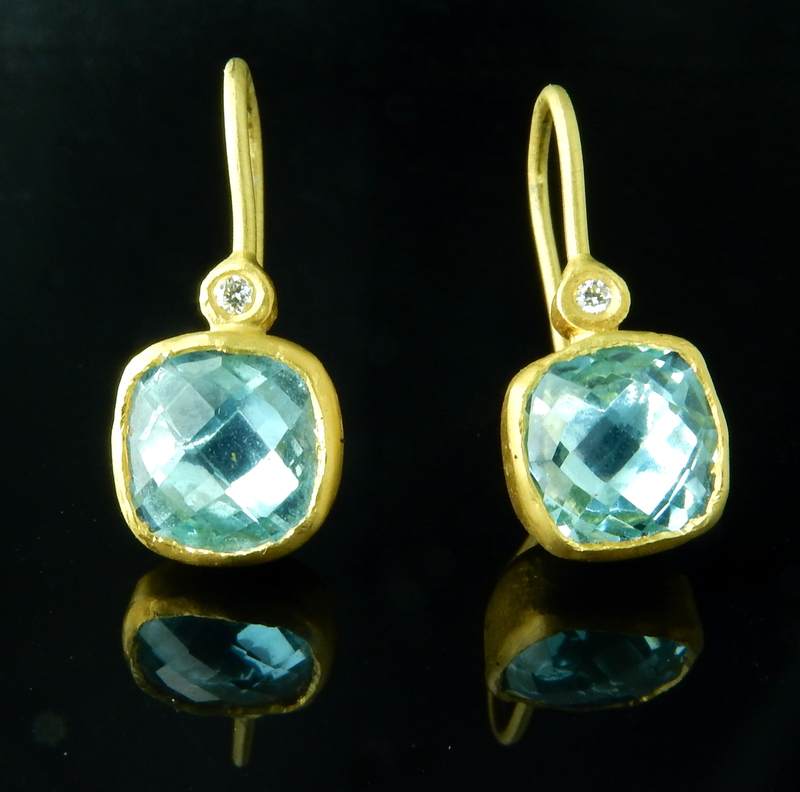 These gorgeous topaz, encased in 22k yellow gold, accentuated with small diamonds are perfect for everyday! 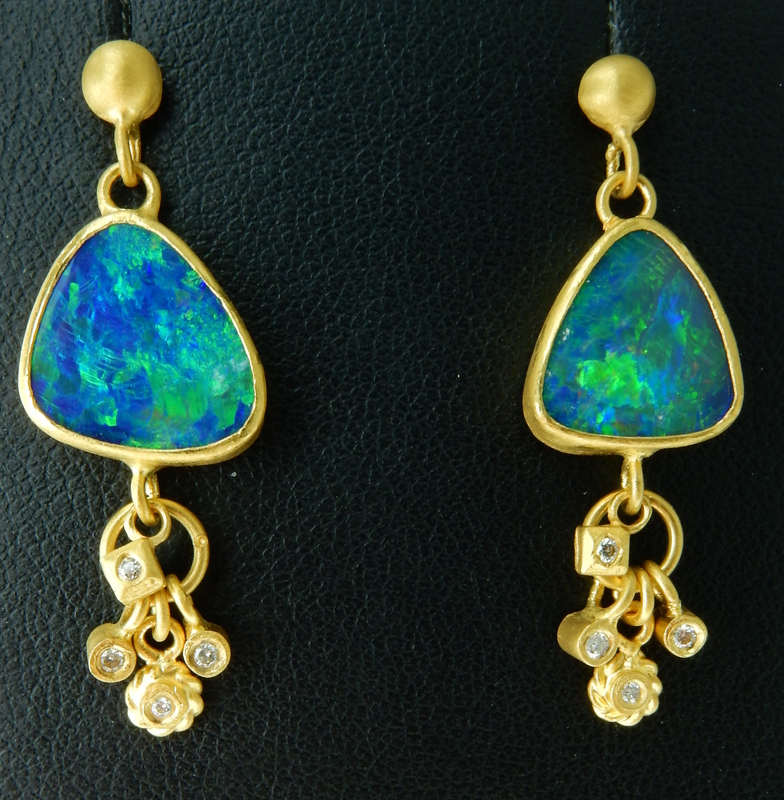 An instant favorite around here, these handmade opal and diamond earrings are truly captivating. Set in 24k and 18k yellow gold, the unique character of the opal is celebrated. 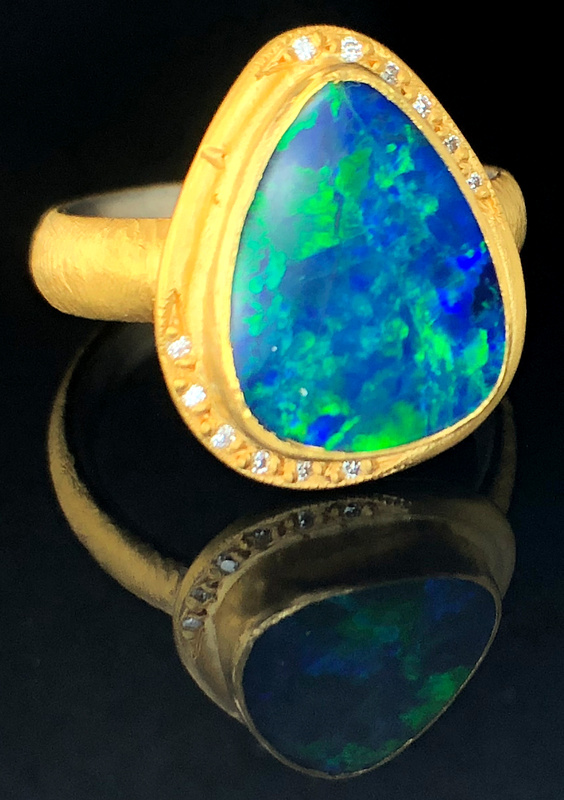 Bottom line, this opal ring is phenomenal. Rich blue and green play of color captivates and enchants. 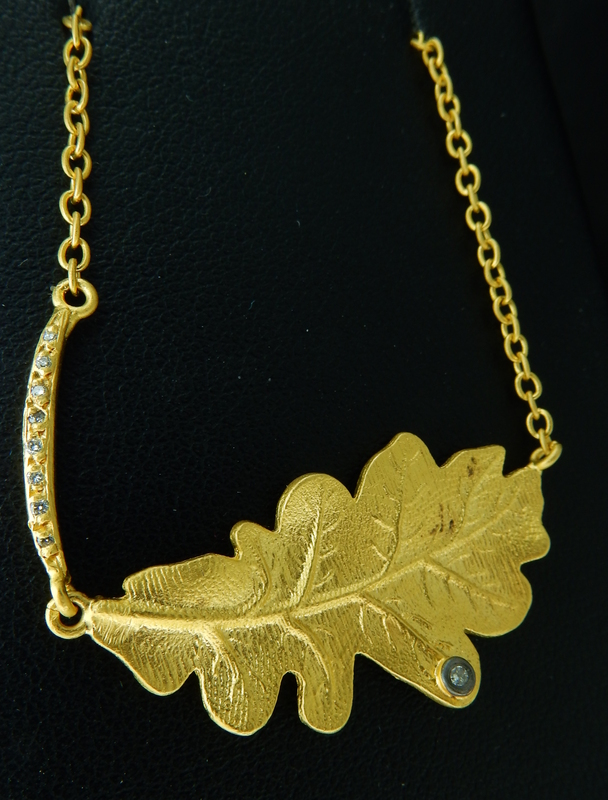 Made of 24k yellow gold and sterling silver, this will be an instant favorite! 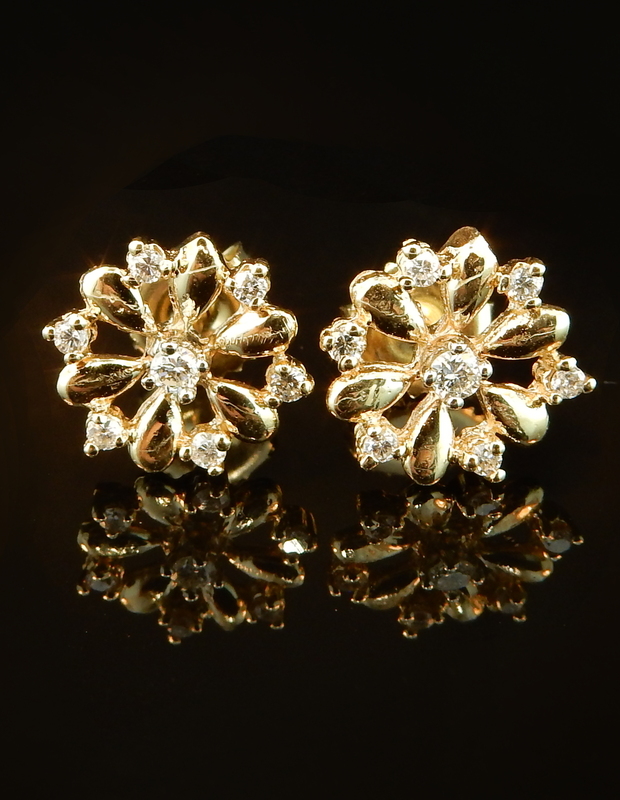 These delicate and beautiful flower earrings are perfect for everyday. 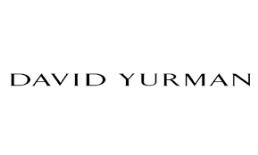 The incorporation of diamonds in this design really adds a significant amount of sparkle. Moonstone is such a fantastic stone! The milky white appearance within the gem rolls with the light to illuminate the stone in the most unique way. 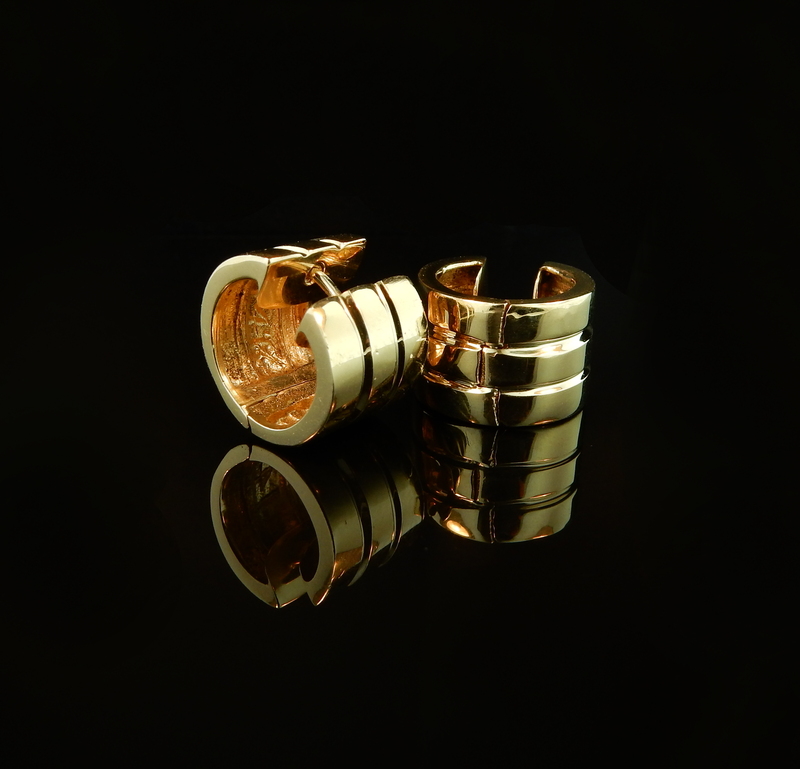 These amazing bezel set gems are adorned on a vintage chain in 14k gold. This is a unbelievable necklace! 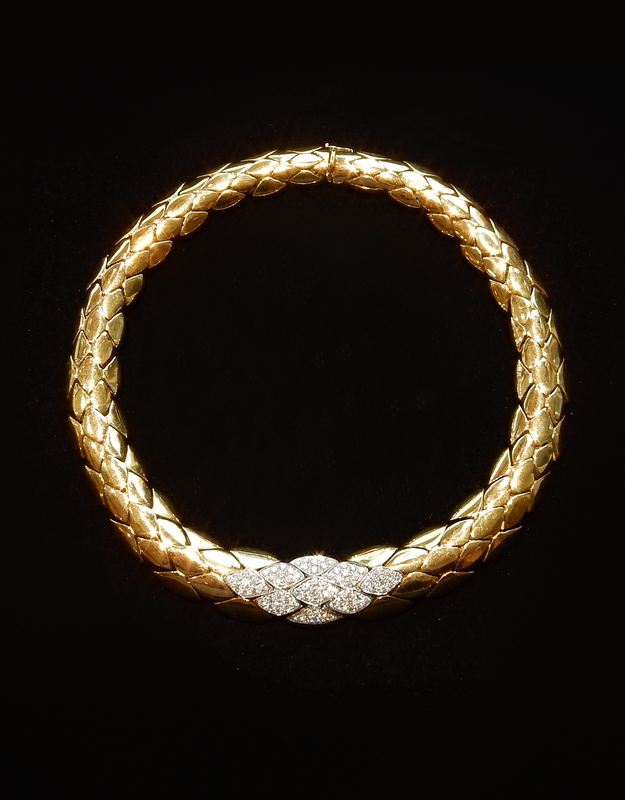 The pave set diamonds in the front of this work of art total approximately 4.00tcw and the high karat gold is the perfect contrast. 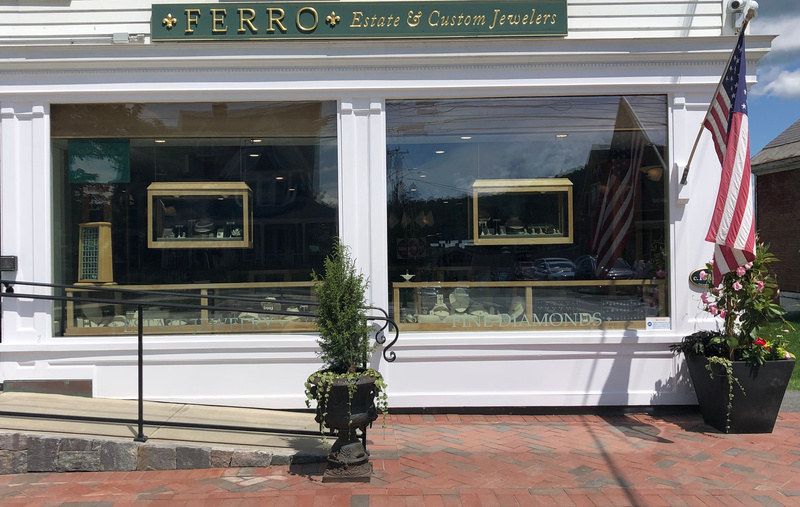 Hand crafted in Italy, this is on of a kind. 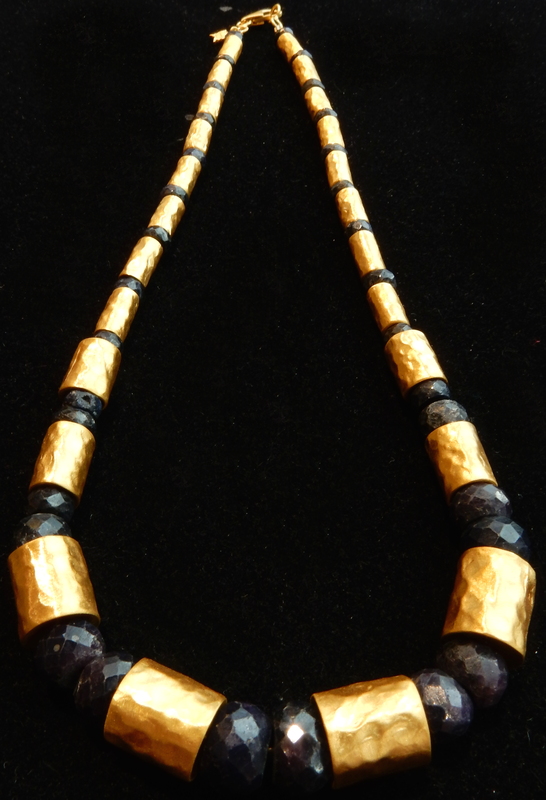 This hand carved antique necklace is extraordinary. 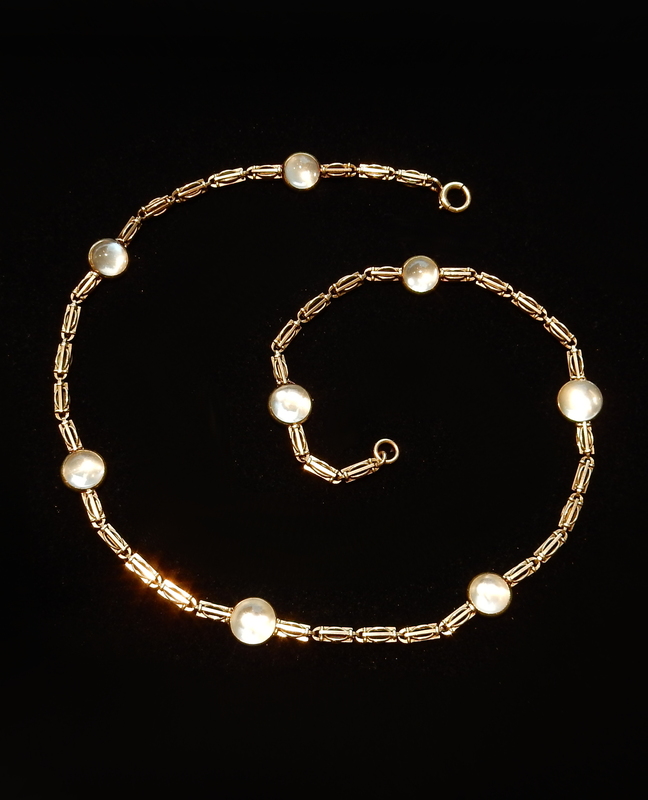 Created with all 18k yellow gold and adorned with one small pearl, this piece does not disappoint. 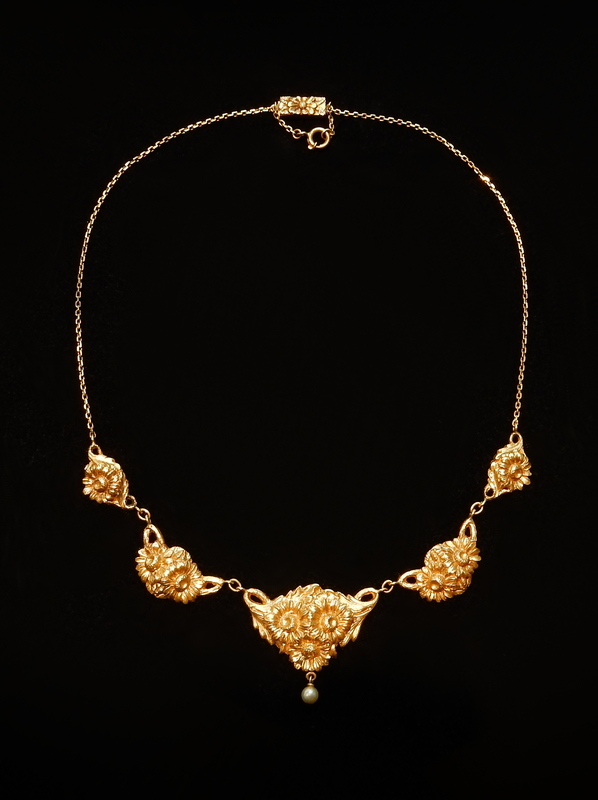 The necklace has an incredible carved one of a kind clasp which makes the back just as beautiful as the front. These earrings are so lightweight and comfortable. 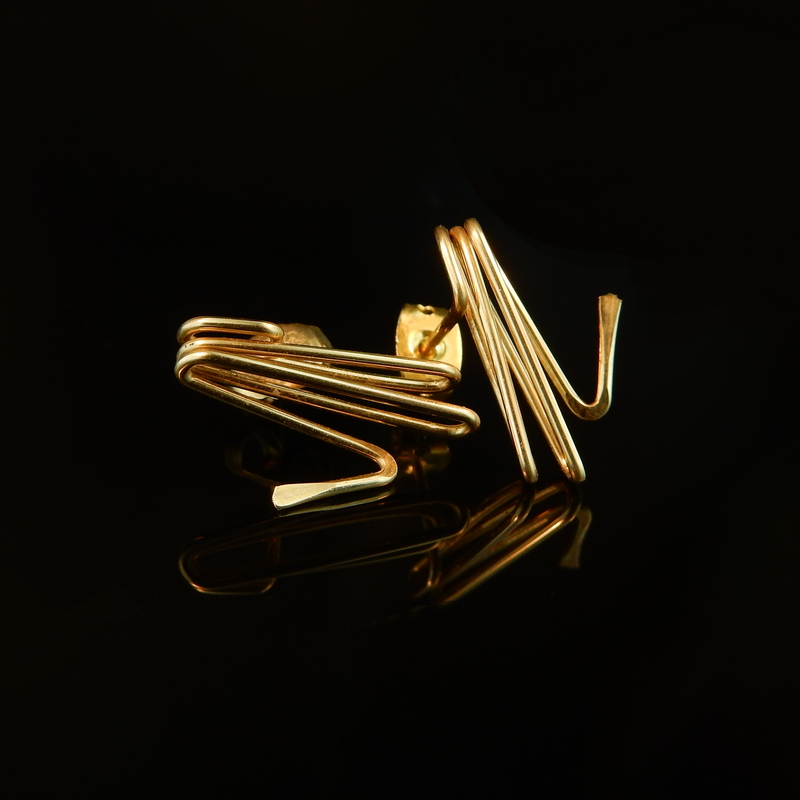 The specific twists and turns in these wire earrings make them incomparable to the other golden post earrings in your closet.